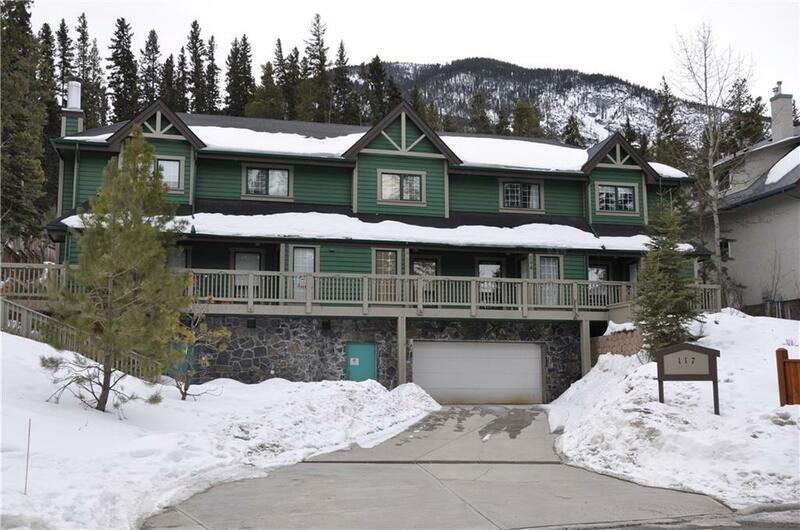 Bright End Unit, Two Bedroom Condo at Cave Mountain Chalets! The spacious floor plan on the main level includes the guest entrance, living room, kitchen, dining room, half bath and large private patio. On the second level there are two spacious bedrooms with large closets, a four piece bathroom, and a three piece en-suite bathroom off the master bedroom. 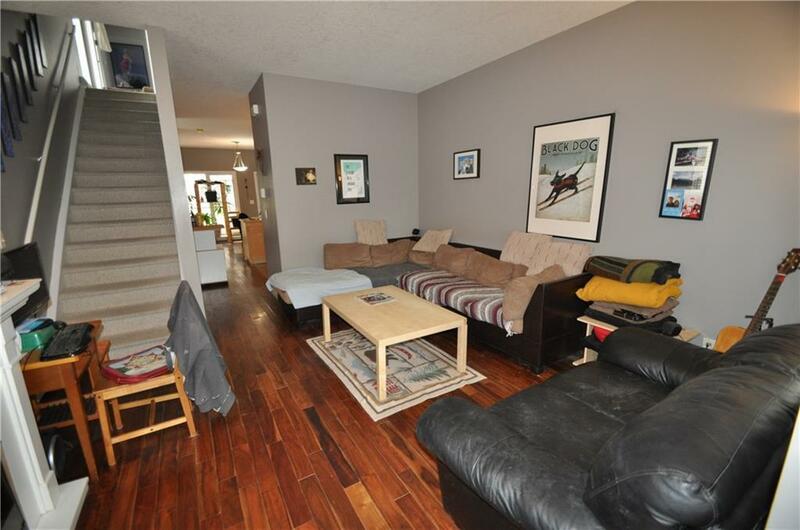 Downstairs there is a sizable storage room with washer and dryer and room for all your mountain toys. 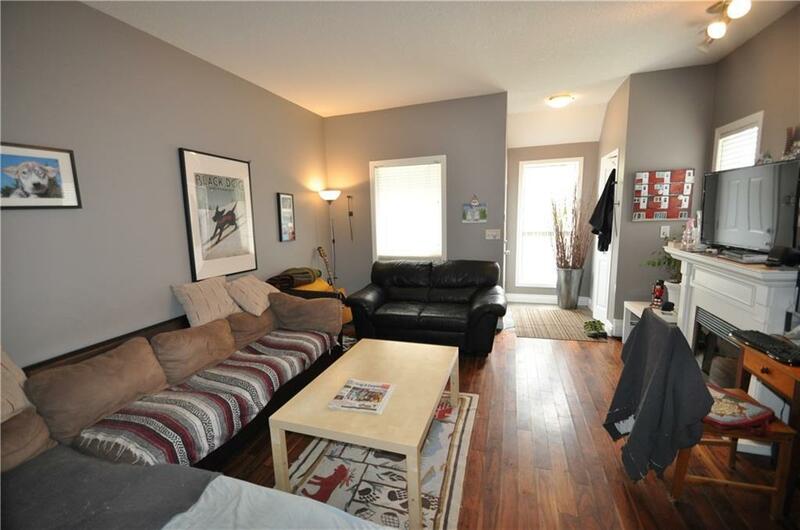 This room leads directly out to the heated underground parkade. 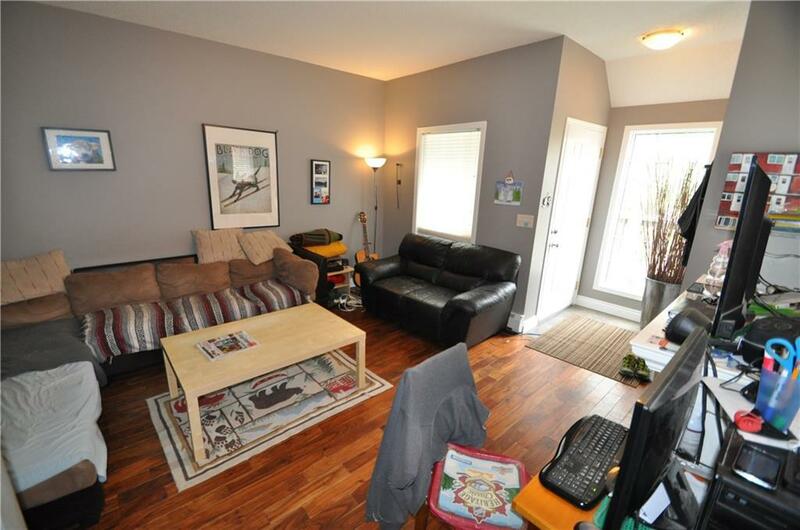 Located close to the downtown and across from the recreation grounds, you have easy access to numerous trails! Excellent value and close to everything this home is a must see!